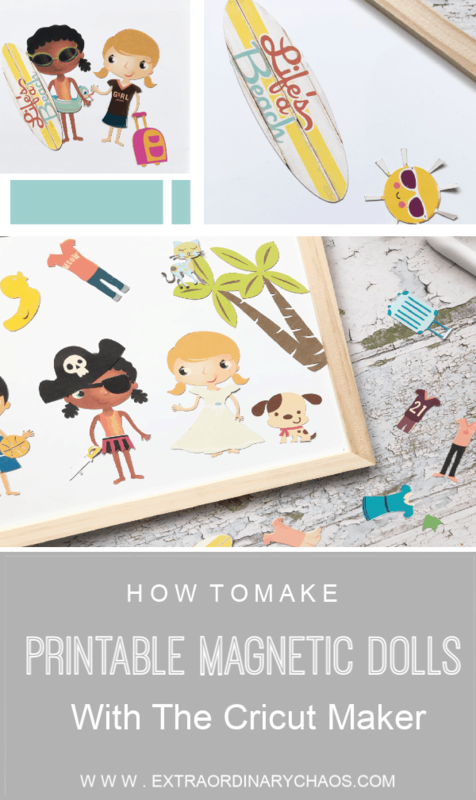 I have had this little tutorial; How To Make Magnetic Paper Dolls in my mind for a while. I adored buying the books of dress up dolls when I was younger but you always ended up losing the bits, or was that just me? However my set of diy magnetic paper dolls has the edge, being magnetic it’s hard to lose the bits. Perfect for holiday survival kits, especially car, plane or train journeys. The beauty of Cricut Design Space is that there are lots of blank canvases for such projects, its just a matter of having a little vision and knowing how to use the slice, group and flatten tools. And you can make you self a full set of unique magnetic travel dolls for all seasons. Or you can just cut and print my little set here and keep your eyes peeled for my seasonal updates. If you are like me and like to make your own projects rather than using a template, follow these easy steps or watch the vlog below for step by step instructions. However if you want a quick and easy printable project click here for the project if you have design space access. In design space click images and type in doll, scroll through until you find a doll you like. The doll I have chosen is part of a full set you just have to hunt to find them all. However there are lots of alternatives, and boy sets too. Next highlight and ungroup the image. You then need to look at the right hand panel and uncheck the closed eyes of the images you want. I chose the girl, rubber ring and goggles. 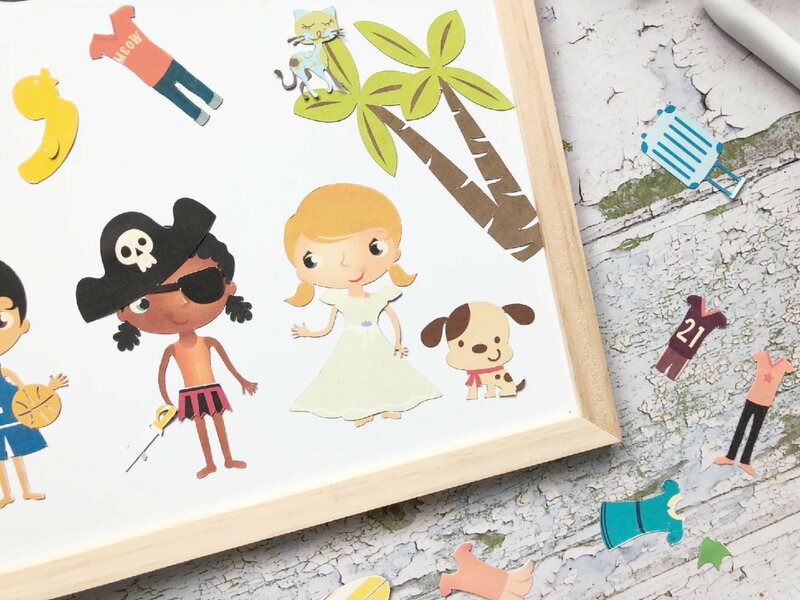 You now have separate images to print and cut on magnetic paper for your diy magnetic paper dolls and can delete the unwanted images. 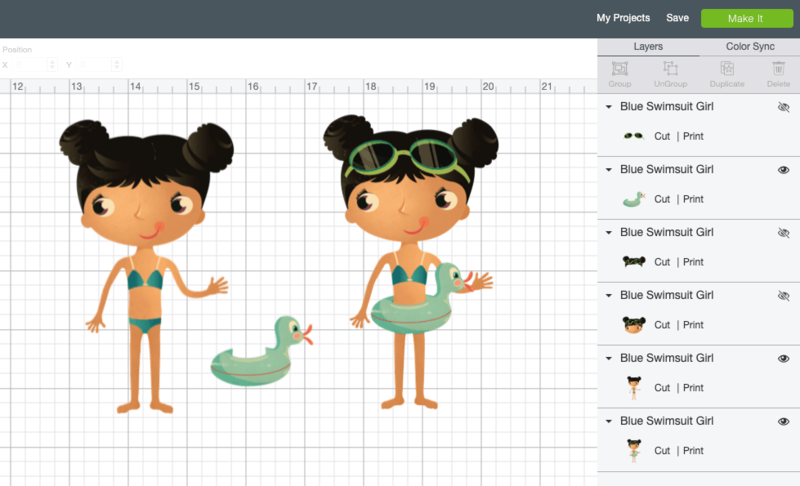 Now go back into images and search for a dress for your magnetic paper dolls. 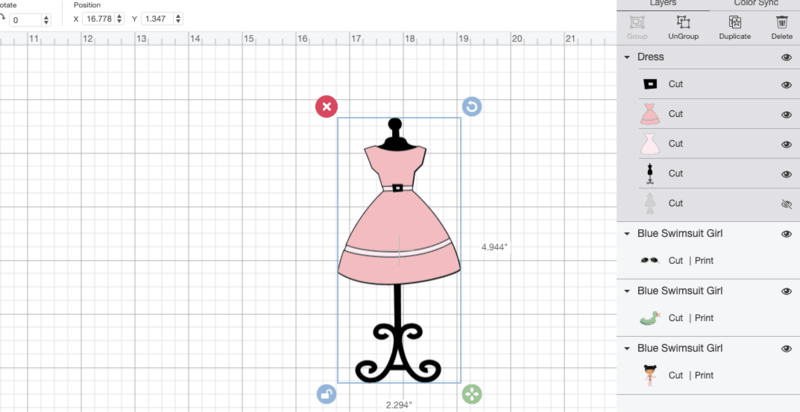 You can choose any dress, even if it is not a print and cut file. If it is a cut file, ungroup remove any parts you do not require. In this case the dress stand. Once you are happy with your image, highlight and click flatten( bottom right hand corner). This will turn the image into a print and cut file. You now have a printable doll and 2 outfits. I made a set of 4 dolls with lots of outfits including dress up, swimwear, sportswear, day, night and graduation outfits. Ensure your printer is compatible for print and cut. I use the HP ENVY 5020 Multifunctional Printer which is an inexpensive printer but has worked with print and cut vinyl, stickers and magnetic paper. Don’t send a project to print and cut for the first time until you have calibrated you printer to your Cricut Maker. Ensure you flatten all images before making the project. If you plan to make stickers, I find the print and cut vinyl is nicer. The sticker paper seems a bit thick in a planner, the vinyl sits much better. This project would also be great as vinyl print and cut sticker dolls. But watch to the end and you will see the full set of dolls and outfits I made. I was gifted the Cricut Maker and magnetic paper, but all opinions are my own and this page does contain an affiliate link.